Still recovering from my upset so I was just looking for something soothing tonight. 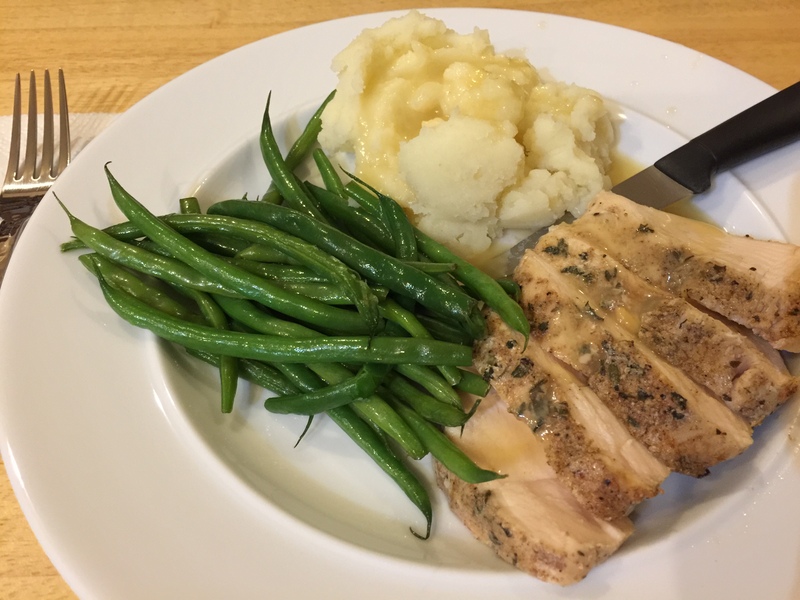 This entry was posted in Poultry, Vegetables and tagged chicken breast, chicken gravy, Haricot vert, mashed potatoes, sous vide. Bookmark the permalink.